The buzz surrounding the latest remake of A Star Is Born has been slowly cumulating up until its release this past weekend. Whether or not you've seen the film yet is a moot point. Don't worry; we won't share any spoilers. If you've scrolled through social media, driven past a billboard, or attended a movie anytime in the past year or so, then it's likely you've seen the moody, black-and-white advertisements. In them, we see a ruddy-faced Bradley Cooper staring deep into the eyes of a surprisingly bare-faced Lady Gaga. We say surprisingly because we're used to seeing the pop star sport expressive and chameleon-like makeup looks on the regular. The film's lead makeup artist, Ve Neill, recently spoke to Refinery29, opening up about behind-the-scenes secrets and the tricks of the trade she used to transform Cooper into the disheveled, tortured musician we see on screen. She even shared some info on Lady Gaga's makeup routine (or rather, lack thereof). Keep scrolling to read her on-set makeup secrets. According to Neill, Cooper had a clear vision for what his character, Jackson Maine, should look like. From the very beginning, he wanted him to appear gritty, disheveled, and tired, "like he'd been riding a motorcycle during a heat wave." This way, his character's gritty outward appearance would reflect his intense internal strife, hinting at what was to come. It all started with fake tanner and a lot of it. "I tanned him every day," Neill said. "I had him do full-body [spray] tans every other week, then every morning I would re-tan him in the chair." 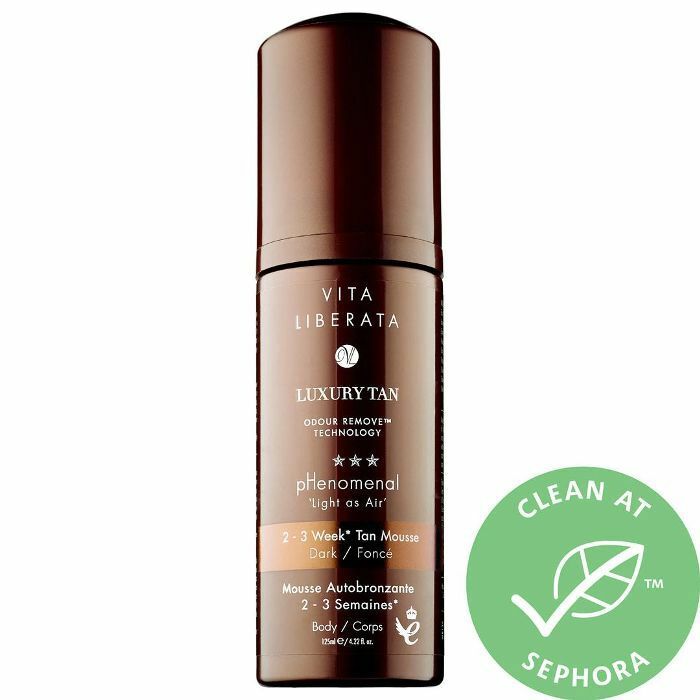 The product of choice was Vita Liberata pHenomenal 2-3 Week Tan Mousse ($27), which is currently on sale at Sephora right now. How convenient, right? The tan comes in three shades—fair, medium, and dark. Based on Cooper's leathery look, we're assuming she used the latter. "On the days he was supposed to look really messed up, I'd stipple in a glazing red gel at the top of his eyelids and bottom of his lash line so it looked like he'd really been up all night drinking," Neill said. "On top of that, I'd go back and have him scrunch up his face so I could give him more wrinkles around his eyes with the tanner." 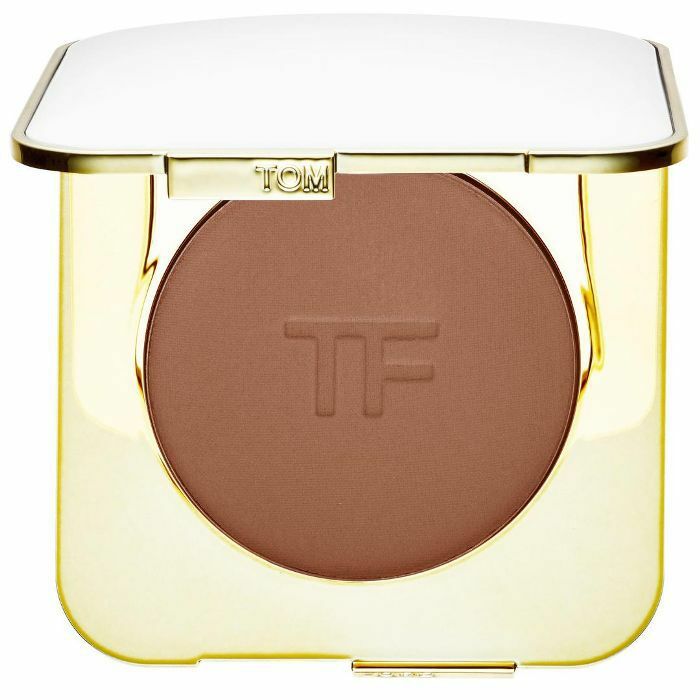 To bolster his tan even further, Neill followed up the Vita Liberata product with a Tom Ford bronzing powder. Fun fact: This happens to be a Byrdie team favorite for its natural and believable effect. Our longtime love for this product feels very validated right now. After all, it looks so natural and believable, it's apparently approved by feature-film standards. BRB—we're going to Sephora to scoop up another for our makeup bags. The juxtaposition between Cooper's worn-out and disheveled appearance and Gaga's fresh-faced and youthful one was a conscious choice on the director's behalf. As the story goes, Cooper supposedly instated a makeup ban on his co-star. Apparently, this was intended to portray her character's authenticity and anonymity. Many people have rightfully called this out as being an outdated and problematic view of makeup. They argue that makeup can also be seen as a tool of self-expression, thereby making it equally as "authentic" as a bare face. After all, just because Gaga wears makeup in real life doesn't mean she's not her authentic self. In fact, it's quite the contrary. "As far as the Ally character goes, [Cooper] wanted her really fresh-faced," Neill said. "He said absolutely no makeup. He didn't want her to look like she had anything on." She insisted this was only to show her character's transformation later on in the film. So even though she didn't wear any face makeup whatsoever, Neill says that she likely did wear a lot of moisturizer or something similar to prep her skin and make it look fresh, dewy, and healthy. Any makeup she did wear was on her body in order to cover up tattoos. The point of this was to hide Gaga's real-life mega-pop-star image so her character's backstory could shine through. A Star Is Born is in theaters now. Head to Refinery29 to read Neill's full interview. Who Was the Beauty Icon the Year You Were Born?